As I mentioned previously, I’ve been working hard these past few weeks to stock our freezer in preparation for Little Miss Bubbles’ imminent arrival. I’m personally working with the a long half of a side-by-side freezer/refrigerator combo (hate it!) and a chest freezer (love it!). While I’m not going too crazy with the freezer meals, I thought I’d impart some information about what I’ve been making as well as what I’ve learned about freezing food. For your convenience, I also put together a few free printables at the bottom of this post. 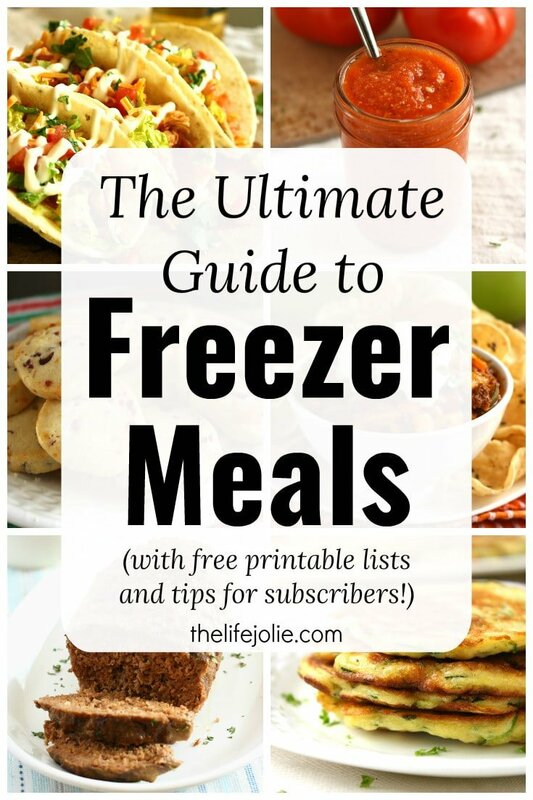 A Freezer Inventory List and a Freezer Food Cheat Sheet. 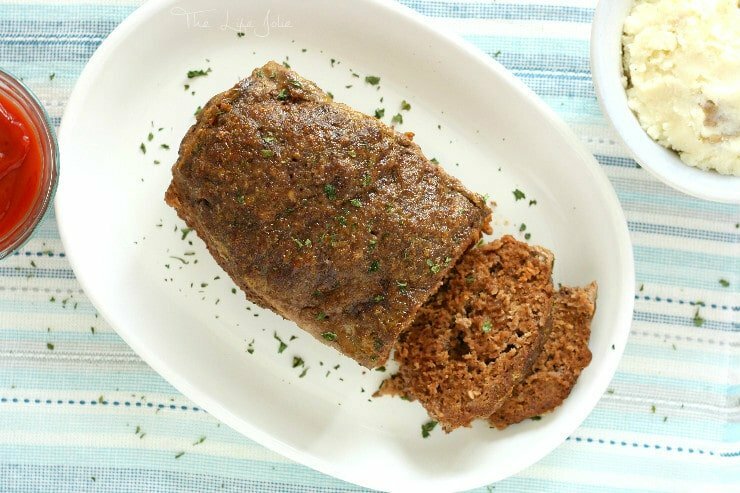 Mom’s Meatloaf- This is so quick to make and freeze! I freeze this raw and then thaw and bake it as per the original directions. This always goes well with potatoes or rice and some sort of veggie. 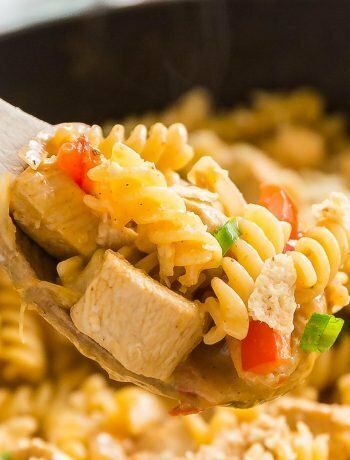 Greek Yogurt Chicken- I love a good dump recipe! I freeze this raw and in the marinade and then I thaw it and dump it into the pan to bake. I love serving it with rice. Balsamic Chicken– This is a recipe I found a while back at Julia’s Healthy Italian Kitchen and it has become a regular in our dinner rotation- SO delicious, and freezes beautifully in the marinade to dump and bake once thawed. This also tastes great if you grill the chicken. 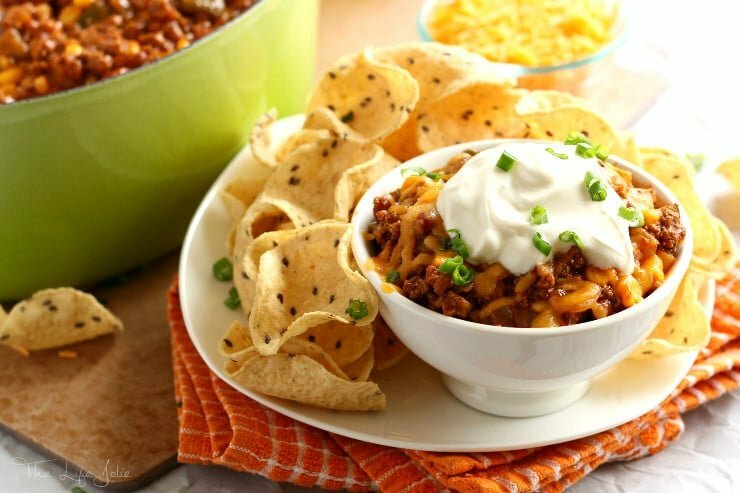 We seriously LOVE this recipe! I love to serve this over white rice, which absorbs the sauce beautifully. 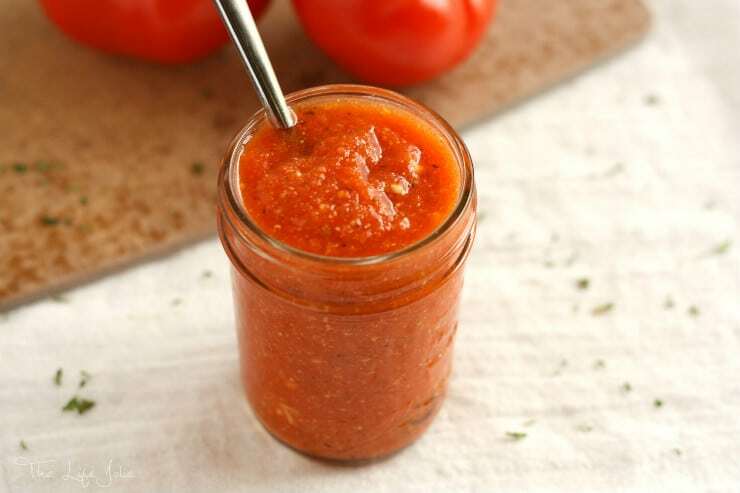 Marinara Sauce- So many uses and great to make a huge batch and freeze in smaller batches! I keep pasta on hand in my pantry and of course Romano cheese. 30 Minute Turkey Chili- Can I tell you how hard it was for me to freeze this instead of eating the entire batch? Absolute torture. I make this recipe from beginning to end and then freeze it. Once I thaw it, I just heat it up in the microwave or on the stove when I’m ready to enjoy it! I try to keep a bag of frozen shredded cheddar in the freezer, ready to go as well as some tortilla chips in my pantry. All the other topping are fresh, although I usually have those on hand as well. Chicken Enchiladas- I found this recipe on Pinterest a couple years ago from A Sweet Pea Chef and it has been my go-to Enchilada recipe for a while now. I don’t even look at the recipe anymore, I just do it (and everyone loves it!). To freeze, I assemble the enchiladas and freeze at that point in the recipe so I can thaw and bake them. I keep a can of refried beans and some yellow rice in my pantry to serve along with this dish. Freezer Bean Burritos- These are meant to be frozen anyway, so you can just follow the directions in the original recipe and you’re ready to go. This also goes nicely with the aforementioned yellow rice that I keep in my pantry. 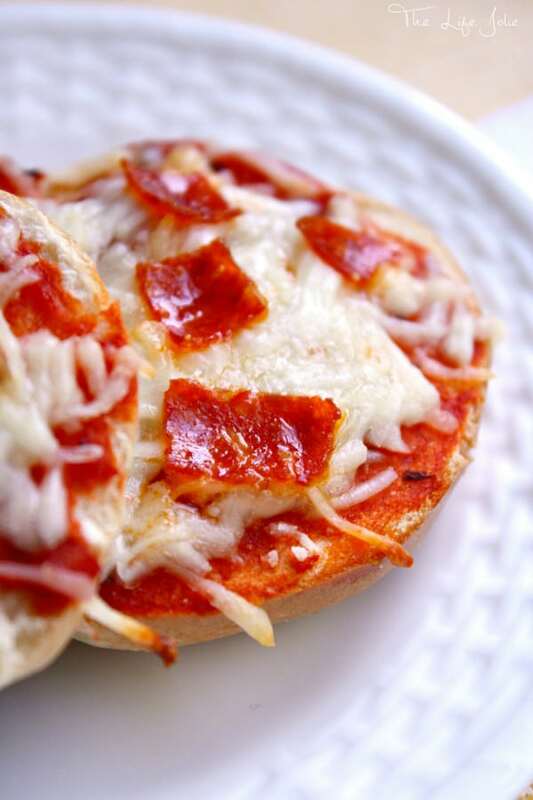 Freezer Friendly Bagel Pizzas- One again, made for the freezer and oh-so-convenient to grab-and-go! 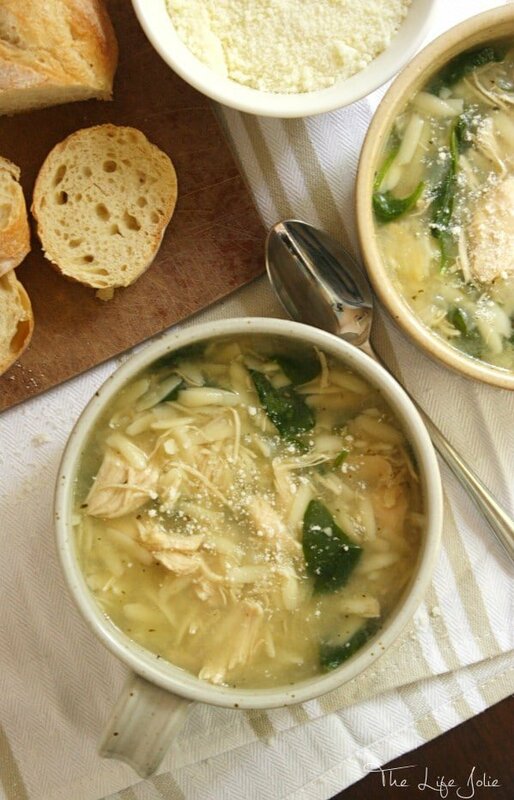 Chicken and Parmesan Soup with Spinach and Orzo- This is so comforting and it goes nicely with the Italian bread that I keep frozen in smaller batches. 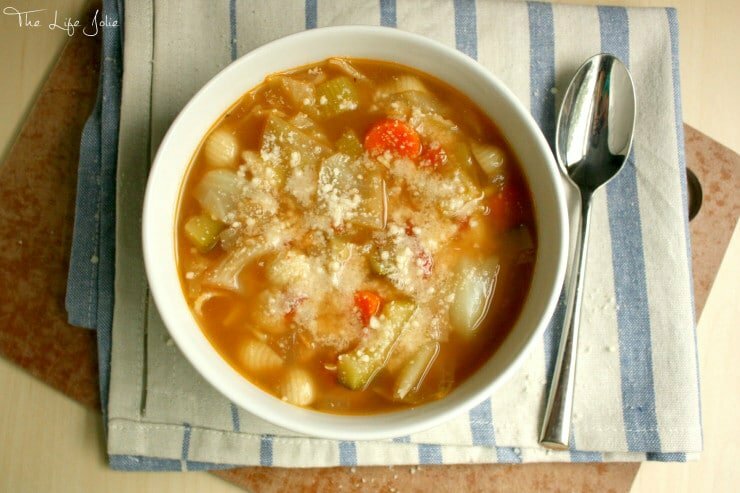 Minestrone Soup- Once again, I make this and freeze it completely made. Delicious! Aunt Jeanne’s Cabbage Soup- As with the other soups- make and freeze! 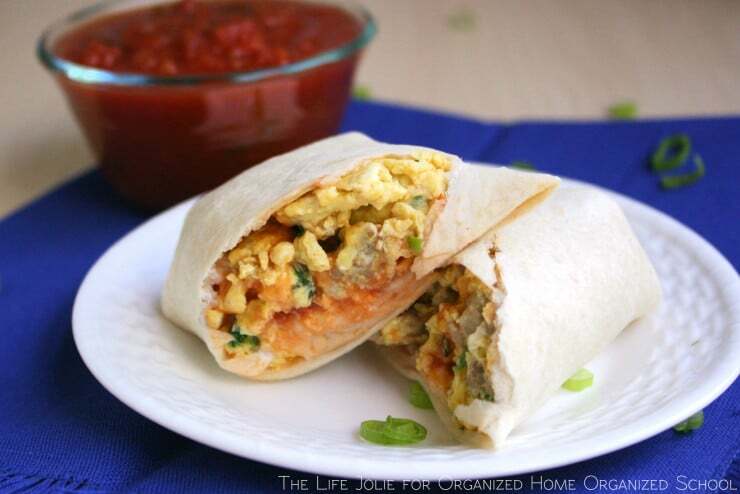 Freezer Friendly Breakfast Burritos- Once again a recipe that’s made to be frozen and a delicious breakfast to grab-and-go! The Easiest Slow Cooker Taco Meat Ever!- This is always a winner in our home. I mix all the ingredients together and freeze them raw so that all I need to do is dump them in the slow cooker. These not only make amazing tacos but are also awesome on a salad, over rice, in quesadillas….the possibilities are endless! 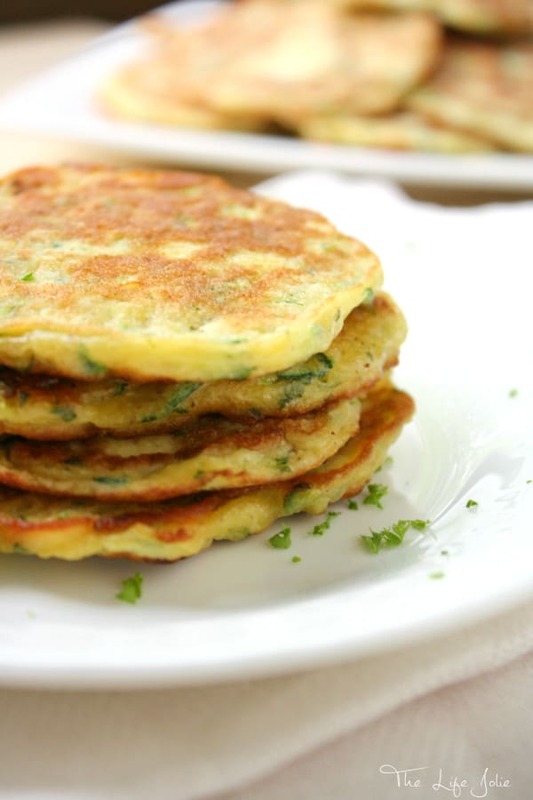 Zucchini Pancakes- I could eat these for days! The cook up so quickly and easily and once they’ve cooled will freeze beautifully! Uncle Richard’s Clams Casino- These are another recipe that is meant to be frozen ,so you can follow the directions on the recipe. 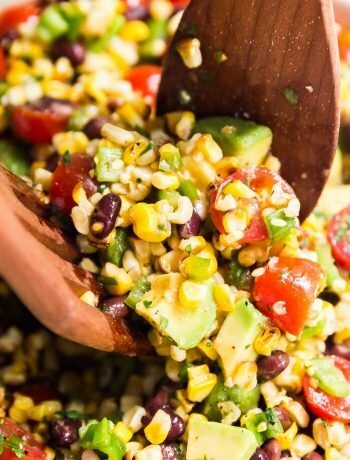 This is great for when you have guests and also a delicious lunch along side a fresh salad! Slice and Bake Cookies- In addition to being super easy and delicious, these freeze beautifully- you can either freeze the logs then thaw, slice and bake or you can bake them off and freeze them until yo’re ready to enjoy! 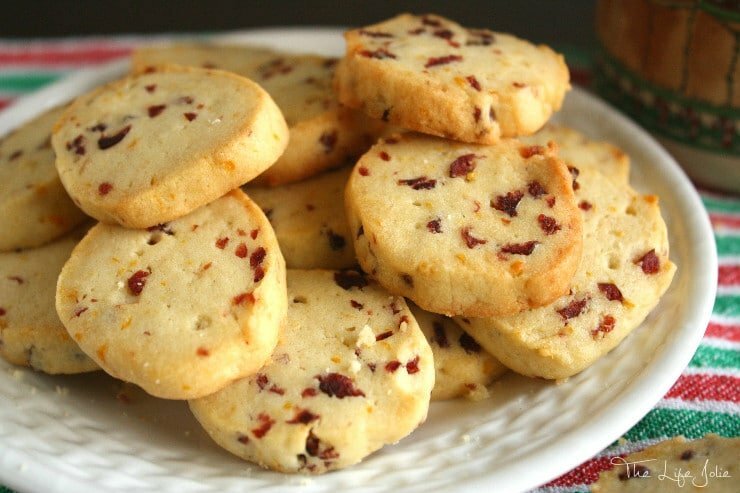 This is another that is great for guests and delicious with coffee or milk. 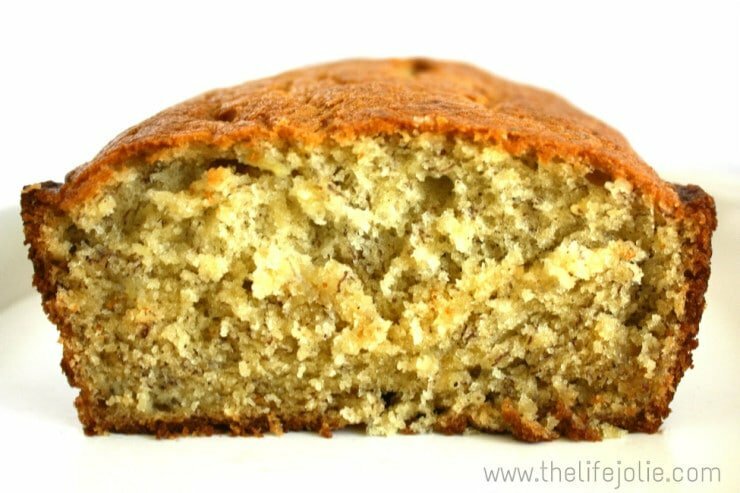 Banana Bread- This freezes up so beautifully once it’s baked and is just as delicious once thawed. I like it with butter and a nice cup of coffee! Please excuse the photo- I haven’t had a chance to retake these! 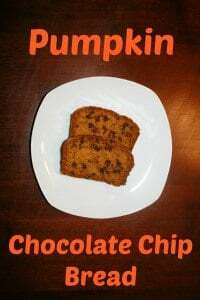 Pumpkin Chocolate Chip Bread- Much like the Banana Bread, this snacking cake freezes beautifully once fully baked and is delicious on it’s own of with a little butter. As a general rule, don’t thaw something and then refreeze it. So if you started thawing chicken and then decide halfway through the thawing process to order in for dinner instead, don’t pop the chicken back in the freezer as this could allow bacteria in and cause foodborne illness. The exception is if you ended up cooking the chicken- then you can freeze it at that point. The safest options for thawing food would be either in the refrigerator, directly into the oven or pan to cook (or defrosting in the microwave, though I don’t often do this) or submerging it in a bowl of cold water and changing the water every 30 minutes. When in doubt- throw it out. No one wants food poisoning, trust me on this. Ziploc Slider Storage Bags– These are especially excellent for raw meats in marinades. You can also freeze liquids flat in them to save space in your freezer. I like the ones with the slider, less room for error. Aluminum Foil Pans – These are great for foods that you want to throw directly into the oven. Saves on clean up and I like to get a variety of sizes. I usually don’t bother buying covers since I use heavy duty foil around the house to begin with. Glad LockWare Containers – These couldn’t be more perfect for soups and sauces. Ive found that you’ll have the best results if you don’t scrimp on the quality of your food storage containers for freezing I love the screw tops and have had the best success with these in keeping the freezer burn at bay. For your convenience, I put together a few free printables. A Freezer Inventory List and a Freezer Food Cheat Sheet. Check out all of my food related posts here. Don’t forget to follow The Life Jolie on Pinterest for more cooking tips! March 16, 2016 at 9:51 pm Me too- anything to make the crazy nights a little easier is always a good thing! March 11, 2016 at 11:10 am So informative. Got some great tips. Thanks. March 16, 2016 at 9:47 pm I hear you on the laziness- I'm hoping this helps for us! March 16, 2016 at 9:43 pm I hope this helps! I LOVE having a second freezer! March 16, 2016 at 9:38 pm Thank you- the struggle is real! Specifically for banana bread, I have to get it into the freezer before J sees or it won't stand a chance! March 16, 2016 at 9:35 pm Thanks- we definitely have a good amount ready to go. The inventory list has been so helpful for me to remember!